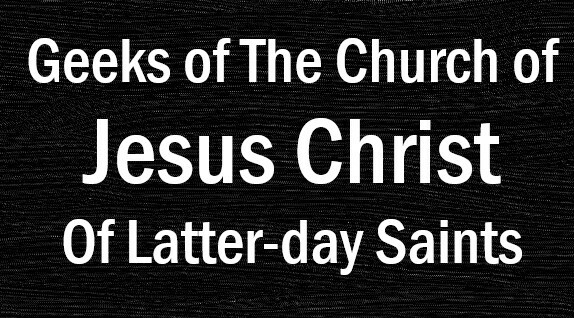 Hello, this is Andrew from Mormon Geeks, and I have a confession to make: I don't like conventions. I should probably start by stating that I am an introvert. Introversion and extroversion are simply personality traits. 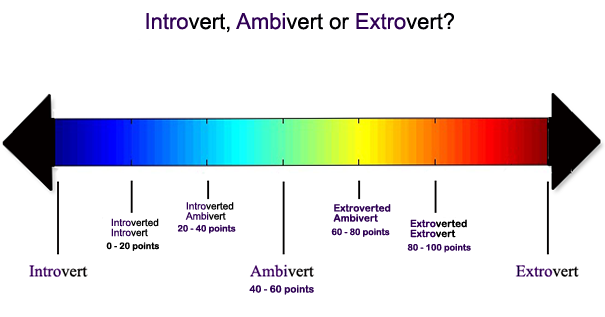 Typically they are viewed as a continuum with introversion on one end and extroversion on the other end (see image below). People fall all over the spectrum, and even their personality will fluctuate, so it's not a hard and fast rule. The primary difference between introverts and extroverts is where they get their 'energy' from. Extroverts tend to draw energy from being around people. Introverts generate energy when they are by themselves. Introverts view interacting with others as an expenditure of energy (sometimes a really scarce resource). For me, sometimes the idea of meeting a new person makes me feel anxious. Going into a crowd of a lot of new people makes me want to curl up in a ball with a good book or play Minecraft for hours on end instead. Maybe I could argue that I haven't been to many conventions. I went to GenCon in Indiana a year or two ago, I went to FantasyCon and ComicCon in Salt Lake this year. I've also volunteered at a few of the events that the American Diabetes Association put on at the Southtown convention center. Other than the volunteer work, which was enjoyable, I don't think I've had generally a good time at any of the conventions I've visited. Crowds!!! Especially at the Salt Lake Comic Con, there were so many people it was hard to see or interact with much of anything on the convention floor. I have a tendency to like to travel from point A to point B as quickly as possible. I was spending most of my time trying to hunt down my friends there. I'm the kind of person that doesn't like to be in the way of the flow of traffic, so the constant barrage of people would keep me moving back and forth to try to not interrupt it. I can't say how many times I got frustrated with people randomly stopping in front of me to look at things, quickly cutting in front of me in the crowd, or simply wandering in a sort of distracted daze looking at things. That being said, once I finally met up with the other Mormon Geeks authors, things were better. By then, I was already feeling kind of 'peopled out'. Maybe I should have just gotten some hugs from Deadpool. That being said, there are some small pieces here and there that I really did enjoy. At GenCon, I got to meet with a small group of online friends and finish up a D&D game that had been running for years over a play by e-mail group. It was fun, exciting, and have a good sense of closure when the whole event was over. At Fantasy Con, I bought a soft (most likely overpriced) pretzel from one of the vendors. It was delicious! I love those things! Also, some of the authors of Mormon Geeks and I sat down to watch a live fighting tournament, complete with armor and real sword. It was super intense. At Comic Con, I got distracted by a few things, but didn't linger very long. I found a booth full of video games (I think they were Indie developed because I didn't recognize any of the names). There were also these fighting robots! They were so cool! I must have come in between matches because they were only just driving around. How about all of you that have been to conventions? What do you like/dislike about them?